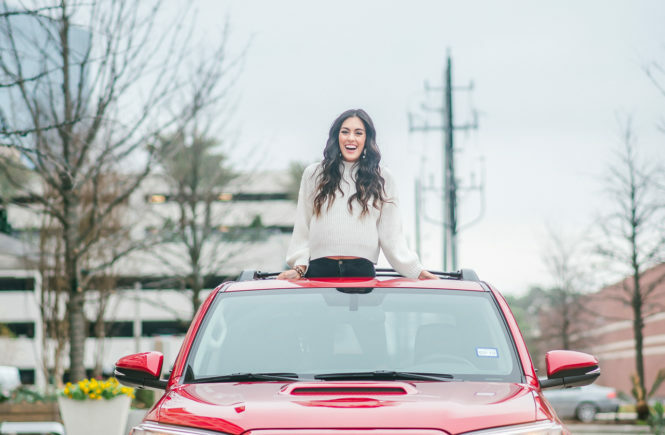 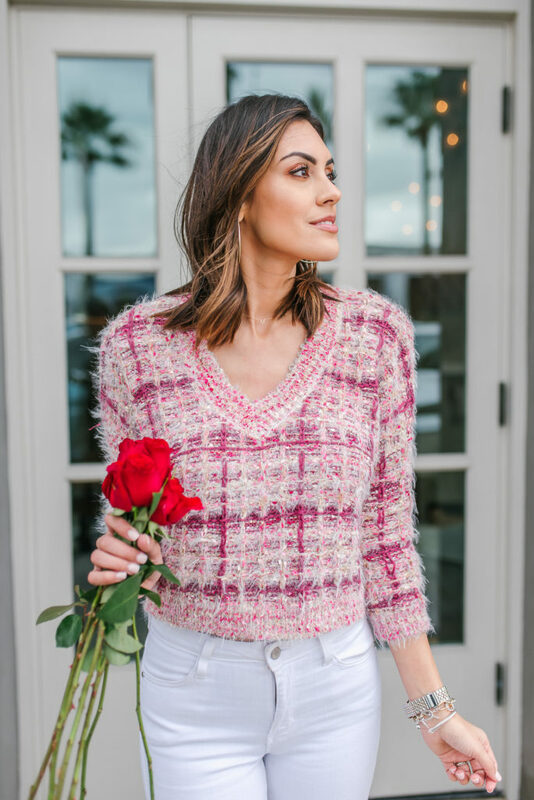 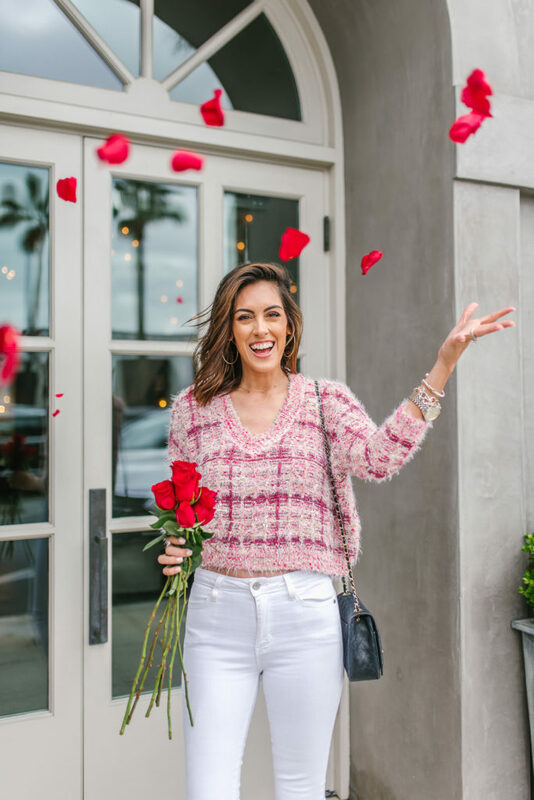 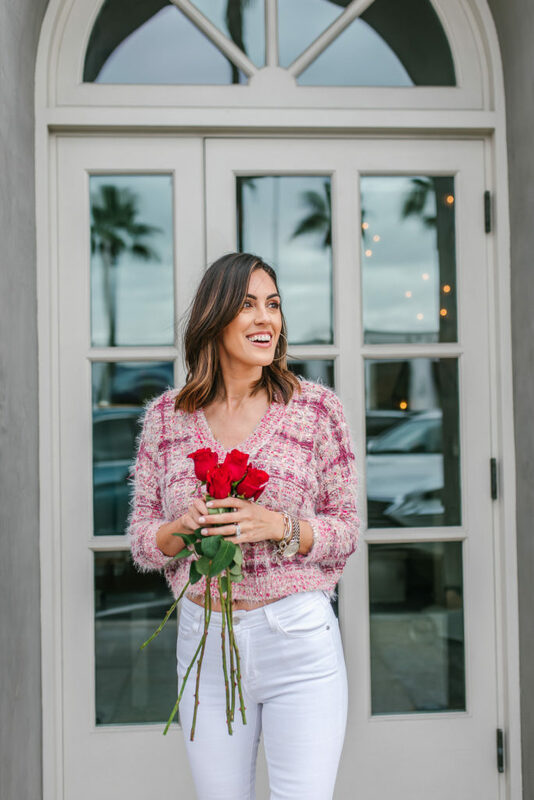 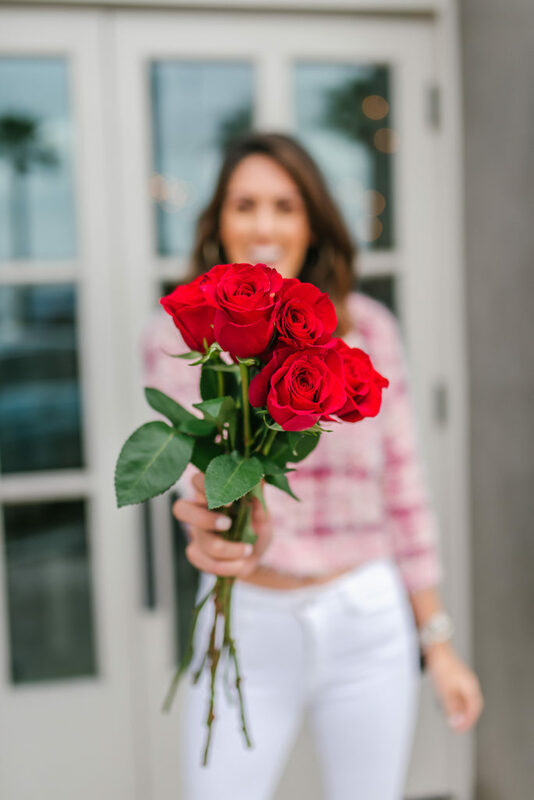 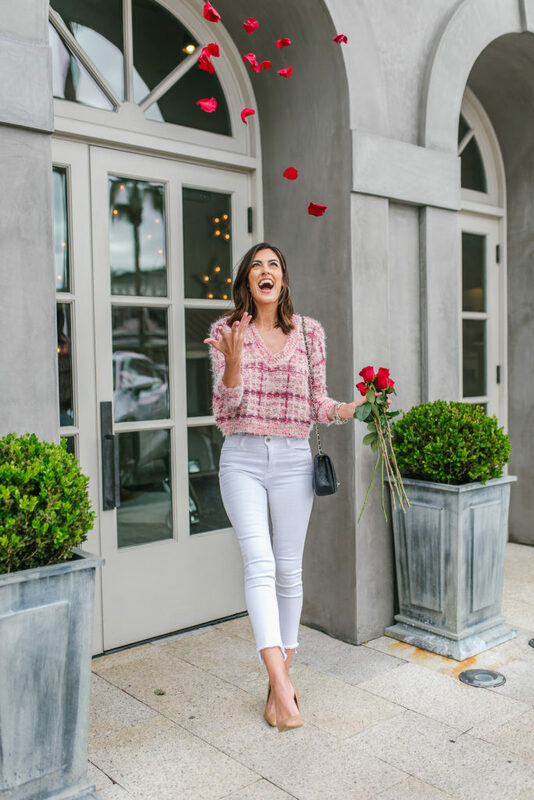 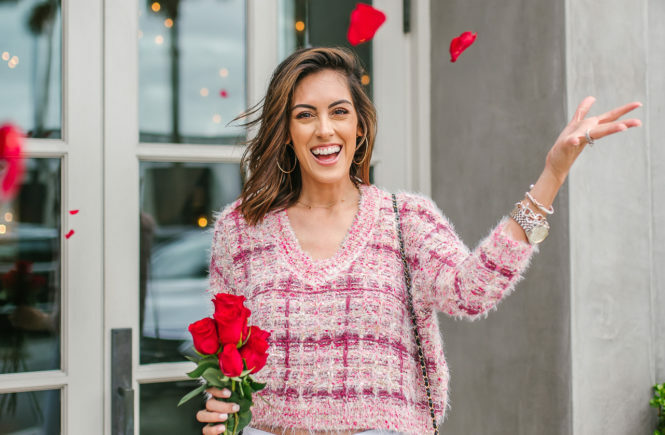 With Valentine’s Day in less than 10 days I wanted to share this textured tweed sweater perfect for those looking to be more comfortable and cute for the day. 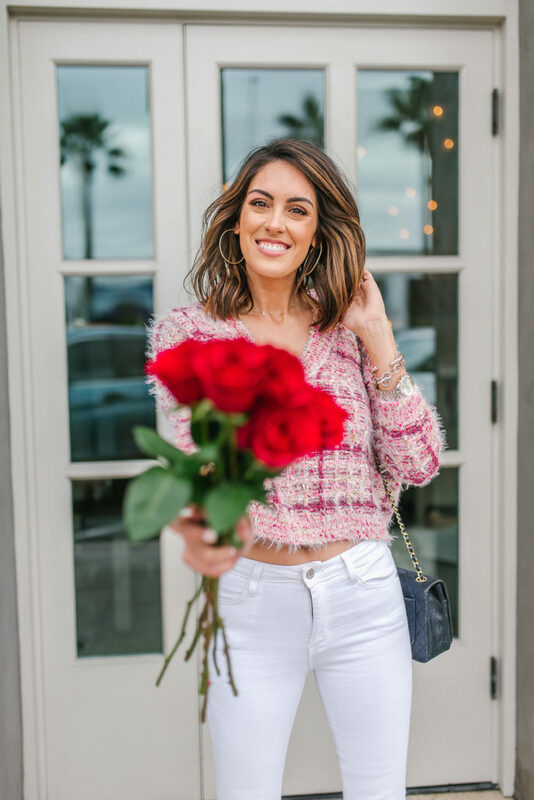 Made for high waisted pants this sweater is so cute and I absolutely love the colors and style. 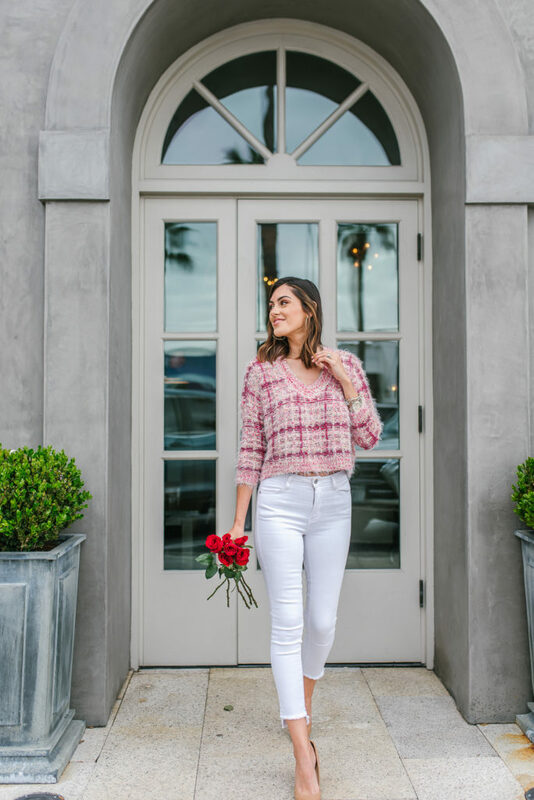 I am wearing a small, which is true to size, and with my favorite white jeans. 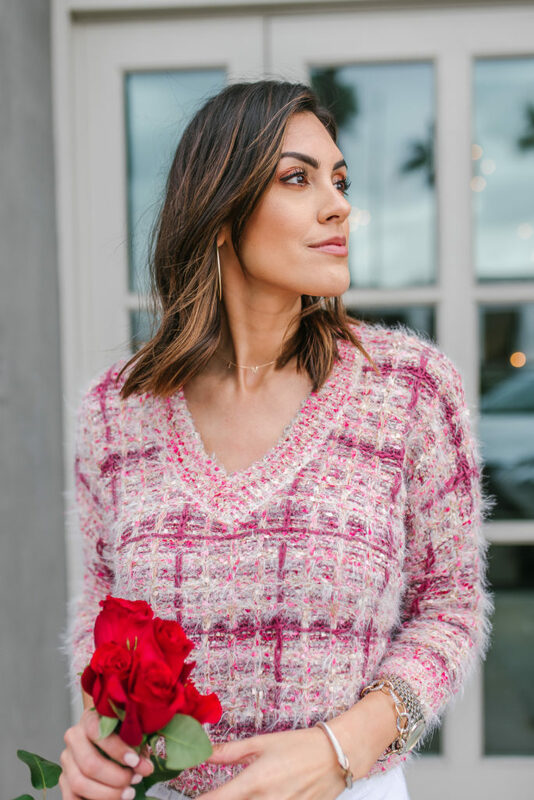 By the way did I say its only $60, which is such a steal.